A 103-year-old building where Hull’s paupers received medical treatment is being demolished, brick by brick. 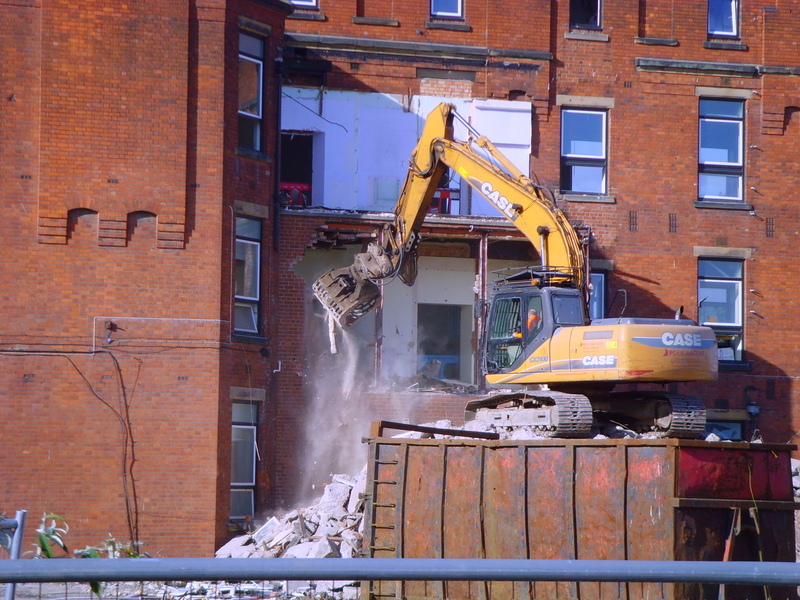 The Haughton Building is being knocked down to make way for the new £500,000 helipad bringing critically ill patients to Hull University Teaching Hospitals NHS Trust. Workmen are demolishing part of the building by hand, removing each brick individually, because of its proximity to the railway line, one of the main arteries to the A63 on Argyle Street and Hull Royal Infirmary’s tower block. 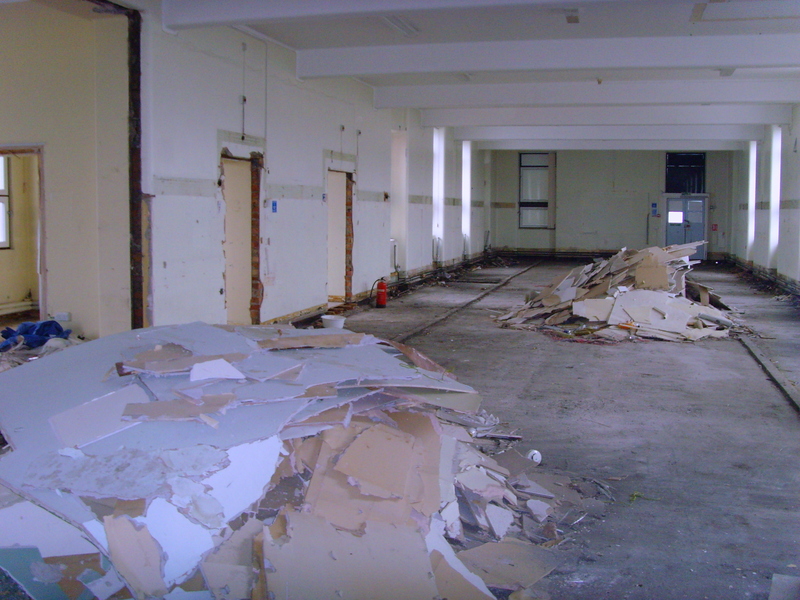 Duncan Taylor, director of estates, facilities and development , said demolition work is expected to be completed by Christmas. “It’s fair to say this job poses a few challenges,” he said. “We are having to hand-demolish part of it to prevent debris either falling onto the railway track or the main road. The three-storey, red-bricked building has been a city landmark since it opened in 1914 as an infirmary treating paupers from Hull Workhouse before the NHS was created in 1948. Mike Pearson, who looks after the trust’s archive, has sourced images of the building throughout the decades. 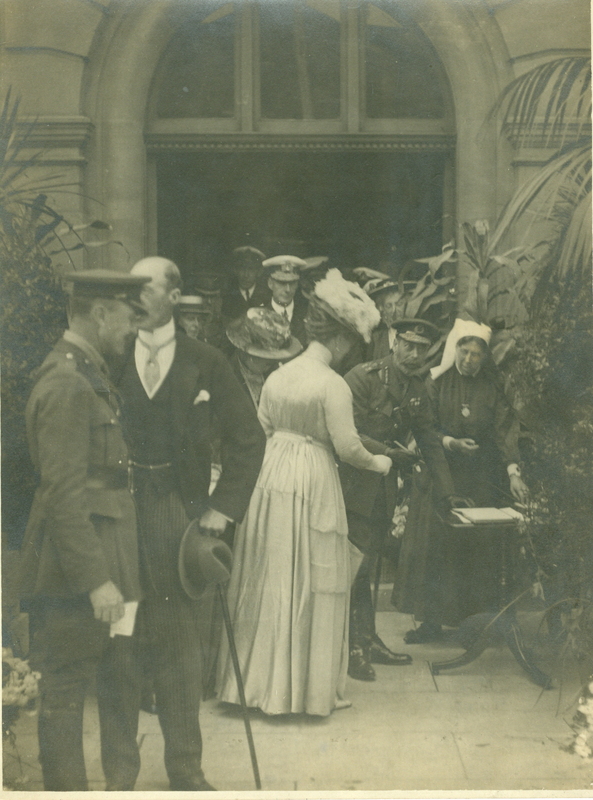 He said shortly after opening, it was a centre for frontline casualties arriving at nearby Paragon Station on special ambulance trains during the First World War before becoming a naval hospital for injured sailors in April 1917. When the war ended, it returned to its original purpose as an infirmary until workhouses were replaced by “public assistance institutions” from 1930. The Haughton Building became part of the Anlaby Road Institution Hospital, run by Hull Corporation. However, when World War Two broke out, it was used as a casualty receiving hospital for Hull people injured during the Blitz. They were taken to the building first for assessment before being transferred to Princess Royal, Castle Hill or Westwood hospitals. Mike said the building transferred to the NHS after 1948 and was part of the Western General site until Hull Royal Infirmary’s tower block opened in 1967. Then known as the West Block, its eight wards were used as Nightingale wards, where patients were treated in large dormitory-style rooms. It became known as the Haughton Building, named after 19th century hospital board member David Haughton in 1995. 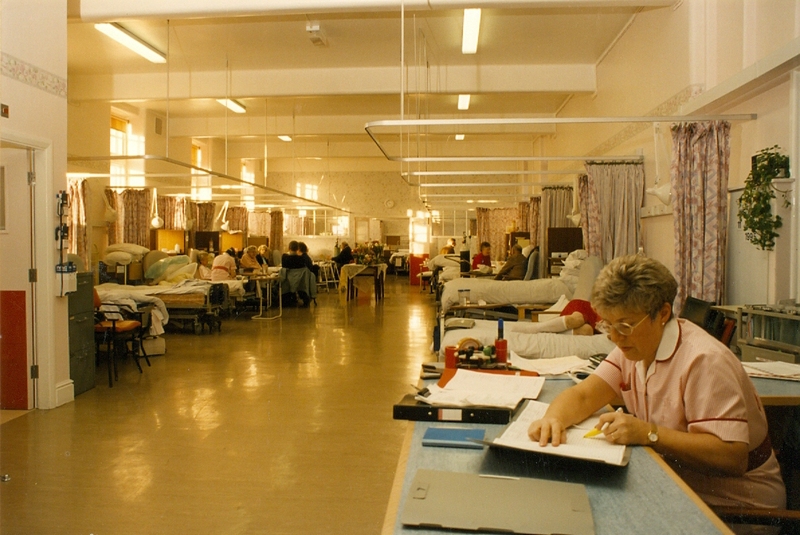 The last inpatients left the building in 2008 when the building was considered unsuitable for modern medicine and hospital care and was used as a linen store and for administrative services. The Haughton will now be demolished to make way for the helipad, funded by a £500,000 donation from the HELP Appeal. Measuring 30m by 30m, the helipad will be raised up to a metre off the ground next to the trust’s emergency department, saving vital minutes in transferring seriously ill and injured patients. Work will begin on the helipad early next year.